Y'all. These new styles. They are so gorgeous. Feminine and flirty and perfect as we start to dream about spring weather. This rose gold tote is everything! The interior includes a full size, removable pouch to store any valuables or even your laptop! And that color!!! ***If this is a must have for you, order now! It is low in stock. I think these might be my favorites in the whole style drop. They are so gorgeous with the pave crystals. They just scream Spring! The ring comes in sizes SM/MD and MD/LG. Get into the garden party trend with this blush, laser-cut floral clutch. 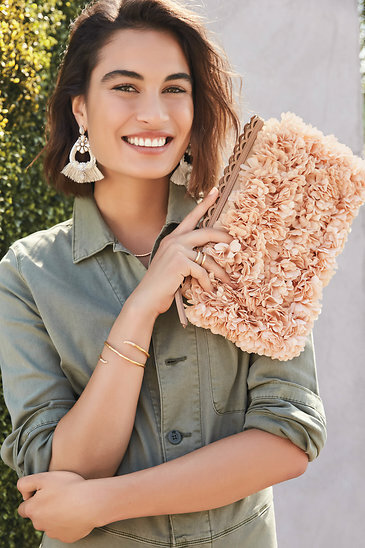 Perfect for wedding season or date night, the Peony Clutch adds a sweet touch to any look. ***Snag it quickly because it's low in stock!!! Our favorite Bianca tee is back in stock! Woohoo! It has sold out every time it has come back in stock, so get yours NOW if you want it. This is the perfect tee. 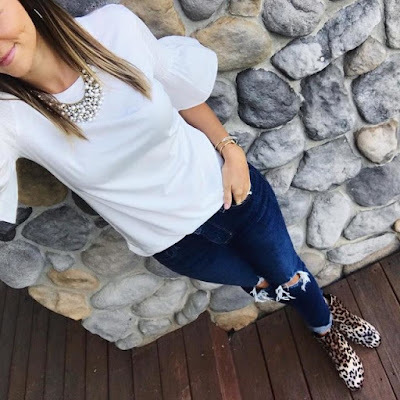 The gathered poplin sleeves give a touch of femininity to the white tee and any of your Stella & Dot faves will just pop when you wear them with this. Hand beaded neutral and clear tones mixed with vintage gold and soft sparkle. 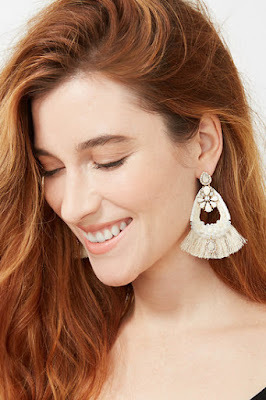 This striking statement is finished with tassel fringe. Wear these as statement chandeliers or sweet sparkly studs. Which of our new styles are you loving?